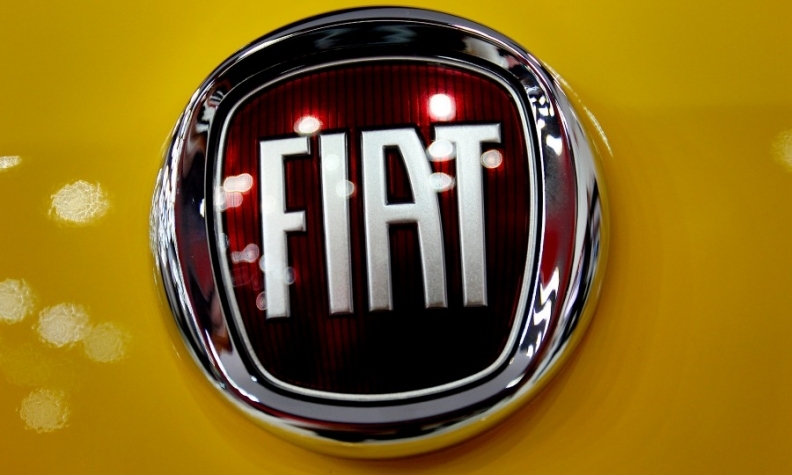 MILAN (Reuters) -- Fiat's finance unit said it was confident of the legitimacy of a tax deal with Luxembourg that the European Commission is currently investigating. Fiat Finance and Trade said it was surprised by the Commission's decision to open a state aid investigation into tax deals that Ireland, the Netherlands and Luxembourg have cut with Apple, Starbucks and Fiat. The company, which has performed cash management and treasury activities for Fiat for 15 years, had requested a tax ruling from Luxembourg to clarify the tax treatment to be applied in financing activities to subsidiaries. "The company has no reason to believe that any favorable treatment was contemplated by the tax authorities in Luxembourg on issuing such tax ruling, because in fact no such treatment was ever received," Fiat Finance and Trade said in a statement on Wednesday. The Commission has raised pressure on Ireland, the Netherlands and Luxembourg over their corporate tax practices. The EU is looking at whether the countries' tax treatment of multinationals, which help to attract investment and jobs that might otherwise go to where the companies' customers are based, represent unfair state aid. Corporate tax avoidance has risen to the top of the international political agenda in recent years following reports of how companies like Apple and Google use convoluted structures to slash their tax bills. "In the current context of tight public budgets, it is particularly important that large multinationals pay their fair share of taxes," Commission Vice President in charge of competition policy Joaquin Almunia said on Wednesday. Governments have promised to rewrite the rules that govern international tax, but experts said the European Commission would struggle to challenge deals Ireland, Luxembourg and the Netherlands had agreed under existing rules. Apple said on Wednesday it has not received any selective tax treatment from the Irish authorities, while Starbucks said it complied with all tax rules. The Irish government said it was confident that it has not breached state aid rules and will defend its position vigorously. Eric Wiebes, the Dutch Secretary of State for Finance said he was confident the investigation would find the country had not broken EU rules. A spokesman for the Luxembourg finance ministry declined comment. Sheila Killian, assistant Dean in the Accounting & Finance department of the University of Limerick, Ireland, said the naming of individual companies represented a more aggressive stance from the Commission. "It's upping the ante from the EU's point of view," she said. The Commission said it was looking at whether the pricing for transactions between company subsidiaries - known as transfer pricing - that were approved by the Irish, Luxembourg and Dutch tax authorities, and which allowed the companies to reduce their tax bills, were selective and thereby represented unfair incentives. While the Commission has often forced countries to change tax rules which it deemed would distort intra-bloc trade, a Commission spokesman was unable to name any successful challenges to a country's transfer pricing decisions. Killian said existing international tax rules gave companies wide flexibility in choosing transfer prices. "It's almost impossible to prove that the transfer pricing is any way favorable ... but in launching a high-profile investigation, it puts a spotlight on those companies' tax affairs, which acts as a deterrent to companies against engaging in aggressive tax planning," she said. Philip Kermode, Director, Directorate-General for Taxation and Customs Union, speaking to an irish parliamentary hearing on Wednesday said that in principle the companies could be forced to repay money if they were deemed to have received state aid. However, Chas Roy-Chowdhury, Head of Taxation, at accounting group ACCA, said that scenario was unlikely. It was more likely, he said, that the Commission would issue an unflattering report which might encourage the three countries to take a stiffer line with multinationals in future. The Commission said it was investigating the tax treatment of Starbucks Manufacturing EMEA BV, which operates a coffee roasting plant in Amsterdam. The Dutch operation buys raw coffee beans from an affiliate in Switzerland and sells roasted coffee to operating units across Europe. It also receives fees from subsidiaries for the right to use the Starbucks brand. Starbucks told a UK parliamentary investigation in 2012 that the deal it received in the Netherlands allowed it to enjoy a "very low" tax rate. A U.S. Senate probe last year revealed that Apple had sheltered tens of billions of dollars in profits from tax by using Irish companies that had no tax residence anywhere. Apple in the United States entered into deals with the Irish subsidiaries whereby the Irish units received the rights to certain intellectual property that were subsequently licensed to other group companies. This arrangement ensured almost no tax was paid in countries such as Britain or France and helped the group achieve an effective tax rate of just 3.7 percent on its non-U.S. income last year, its annual report shows - a fraction of the prevailing rates in its main overseas markets. Ireland resisted considerable pressure from Germany and other countries to change its tax regime as part of an EU bailout during the financial crisis. Almunia said the Commission had also started a preliminary investigation into so-called "patent box" tax breaks by a number of EU countries, under which profits derived from patents faced tax rates of as low as 5 percent.